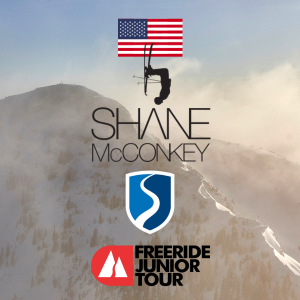 Tahoe Freeride is excited to team up with the McConkey Foundation to create the McConkey Cup. The IFSA Junior National will be run in Shane's honor the same weekend as the McConkey Foundation Gala and the PMS Chinese Downhill. The event will span 3 days and all competitors will be given 2-runs. Refunds will be issued up until midnight 14 days before the first day of competition. There is a $45 processing fee. After that date refunds will not be issued. Within 14 days of the first day of national competition there will be no refunds, unless due to injury. A doctor’s note is required. There is a $45 processing fee for all refunds including injury. Due to event cancellation, refunds will be issued minus $45 processing fee. In the instance of a rescheduled event, registration fee goes toward the rescheduled date if it is at the same mountain. If you can’t make the rescheduled date you will be issued a refund minus the $45 processing fee. The request must be made 7 days prior to the first day of competition for that event. There will be no refunds to any athlete given the opportunity to take at least one run. If the competition goes to a one day event due to weather or hazardous conditions there are no refunds. The Competition Jury, Host Mountain and the Technical Director make the decision to cancel.